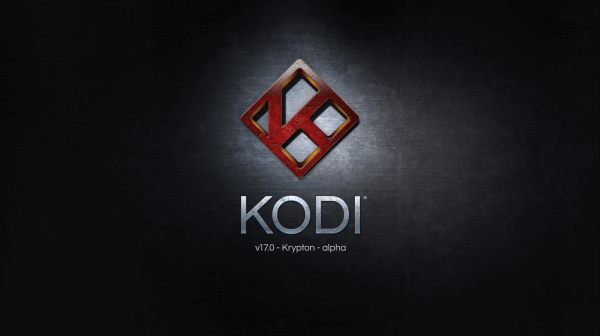 Get a Kodi 17 download now for the latest version of Kodi, Krypton! Check out all Kodi 17 new features and information on how you can download the latest version now! September 18th: Kodi 17 Krypton Beta #2 is now available! Check out the change list below. Mostly bug fixes, but this is a good sign that the final release of Kodi 17 Krypton is coming soon. Kodi 17 will not support Android 4.4 any longer and will required 5.1+. Any game controller was non function due to recent refactoring. This has now been fixed with the added bonus of deadzone settings for joypads. No longer handle data migrations from pre-Kodi v14 versions. Add Android Nougat new passthrough audio API which special thanks to Google developers for adding this. De-interlacing setting underwent some changes recently and some problems came to light. Skin and add-on updating doesn’t check for dependencies if they are not in a repository. From now on on any upgrade Kodi we will go through all available updates and install them before starting Kodi. Fix DPI unawareness on Windows where it would start in the zoomed in if it wasn’t set to 100% Thanks to Microsoft for giving us the correct way of solving it. August 22nd Update: Kodi 17 Krypton Beta #1 is now available! This is the first beta release of Kodi 17, which means that the official release version of Kodi 17 is coming very soon. Because this is a beta, it is not recommended that you install this on your main Kodi box, but a beta release is more stable than alpha for those who want to try it out. Click here to try out Kodi 17 Beta #1. You can now bring up the context menu from main menu shortcuts and widgets. Add-ons can now include screenshot previews so that you can see the look before you install. Game controllers add-ons! You can now download add-ons that will make X-Box, Playstation, NES, and many other game pads available in Kodi. A Kodi 17 download is now available! The alpha version #2 has been released, which officially takes Kodi 17 from development stage into pre-release! Disclaimer: Alpha still means that Kodi 17 is being worked on and fine-tuned. The version is probably not stable enough for your main Kodi box yet and is not going to be 100% working. One of the biggest changes you’ll read below is that Android 4.4 and lower support is being dropped, so at the very least take this as a warning sign if you are looking for a new Kodi box soon. If you want to download Kodi 17 Kypton, click here. Read about all of the new changes in Kodi 17 Krypton below! Brand new default skins! Gone is Confluence and in is Estuary and Estouchy (optimized for tablets). Updates to videorendering and openGL drivers. Complete rewrite of audio/video syncing (less offset audio). Improved playback of live streams. Internal buffers no longer fill up! Input stream add-ons – Add-ons can now be written to support multiple stream qualities or camera angles and you can select this on the fly in Kodi. For example, a stream might be offered in 540p, 720p, or 1080p and you can now switch on-the-fly in Kodi. Full HD audio passthrough support in Android. Android 5.0 Lollipop minimum. This means Android 4.4, which is now 2.5 years old, is not supported by Kodi. This should give you a good baseline for which Kodi boxes to avoid buying online. Custom AMLogic Kodi code has been turned off, which is one of the reasons that Android 4.4 firmware is no longer supported. If installing third-party add-ons, you have to acknowledge that the add-on is not supported by the Kodi foundation. You can now view which add-ons have been installed or updated. Settings section has now been made more clear. Team Kodi are very happy to announce the immediate availability of Kodi 17.0 (Krypton) for Windows, Android, MacOS and iOS. Krypton brings updated default user interfaces, better organisation of settings, and many under-the-hood changes on VideoPlayer, Music Library, PVR, audio on Android, and thousands of small bugfixes and improvements to stability. Note: Kodi 17 downloads will be available in our Ubuntu PPA soon, so stay tuned for updates! Kodi’s user interfaces receive a major revision in Kodi 17.0. The new default skin Estuary has been specially designed as a 10-foot interface, while touchscreen devices have a new touch-enabled skin called Estouchy. To complete the overhaul we are now shipping Chorus2 as the default web interface. For those of you who like the previous skin, it is now available as an optional download through the add-on repository. Our video engine is undergoing a multi-phase rewrite and Kodi 17.0 delivers the next wave of changes with improvements to stability, audio/video synchronisation, refresh rate switching and decoding/encoding of video on all platforms. New inputstream add-ons extend support for streaming protocols like RTMP, MPEG-DASH, SmoothStream and NXMSL. Other new additions include hardware-accelerated DVD playback and OpenGL dithering when performing colour conversion, and Kodi on Linux can now use 3DLUT and simple ICC profiles to colour-correct displays. Audio sinks on most platforms have also been refined. Changes to the music library bring improved performance for tag scraping, support for mood and artist role tags, and increased browsing speed for larger libraries. Kodi 17.0 has numerous improvements to Live TV and PVR functionality. Changes start in the user interface with widgets for Recent Recordings and Last Played Channels on the home screen, and the ability to choose showing the PVR guide or Channel window when Kodi starts. The PVR user interface has seen much love. Channels can be sorted by Last Played. TV and Radio recordings are now shown in separate windows. There is a huge performance increase when browsing the guide window. Scheduling of recordings had a complete rewrite with both timers and timer rules now displayed in separate windows, and instant recording options can be customised. There are now 15+ PVR add-ons and most have been updated, including VDR VNSI, Tvheadend, HDHomeRun, Enigma2 and MythTV. Kodi now comes with support in the back-end for Digital Devices Octopus Net and asynchronous connections to back-ends which helps with connection stability. Kodi 17.0 is now standards-compliant with Android’s official Audio API and requires Android 5.0 or higher as the minimum version. DTS-HD, DTS-X, Dolby TrueHD, and Dolby ATMOS passthrough are now supported on devices that implement AudioTrack v23 or higher. Devices with firmware that does not follow this standard will not support passthrough. Support for 4K video and output and improvements to refresh rate switching and HEVC, VC-1 / WMV 9, and VP9 playback on supported hardware are the icing on the cake. Kodi 17.0 is the first version available through the Windows Store and is now one of the most popular downloads in the store. The version in the Store wraps our normal x86 application in a UWP wrapper for installing on Windows 10. The normal installer from the download section of the website can be used on Windows 7 and 8 (and 10). The Kodi 17 changelog page in the wiki hosts a human-readable list of changes in Kodi 17.0 while those seeking a more technical listing can view the merged pull requests on our project’s GitHub repository. Last edited by KodiLover; 06-02-17 at 17:32.